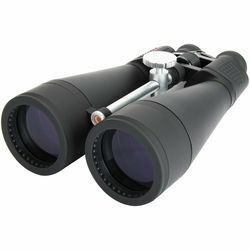 Also known as field glasses, a pair of binoculars is an optical magnifying instrument made of two telescopes. They are made of lenses and prisms mounted inside metal and plastic frames. Compared to monoculars, they produce three-dimensional images and give magnified images a true sense of depth. You can classify binoculars by size, usage, and prism arrangement. 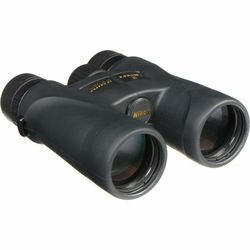 When categorized by size, there are full-sized, mid-sized, and compact binoculars. Compact and pocket-sized models have small lenses while full-sized and large ones pack lenses big enough to show clear images in low-light conditions. Mid-sized units balance power, weight, and light transmission, and are the ones most suitable for wildlife observations. 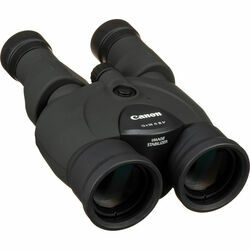 Hunting binoculars are usually mid-sized models while astronomy ones are large, and may require mounting hardware. Binoculars use either roof or Porro prisms. Roof-prism or DCF (Dach Center Focus) models have overlapping prisms, while Porro prism (ZCF or Zeiss Center Focus) have staggered ones. The DCF arrangement produces slim, straight H-shaped instruments with eyepieces directly behind objective lenses, while ZCF models are conical or M-shaped instruments. Porro prisms produce greater depth perception and wider field of view. Binoculars usually have two set of numbers printed on them. These are magnification, and the size of the objective lenses used. For example, an 8x20 model makes subjects look 8x bigger while the diameter of its objective lenses is 20mm. Bigger lenses capture more light and are better in low-light conditions. For improved visibility at night, consider a pair of night vision binoculars. 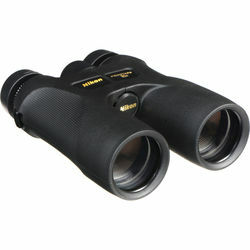 For bird watching or to observe sporting events, look for models with 7-12x magnification. These have fields of view wide enough to enjoy fast-moving action. Higher magnifications, such as those on astronomy binoculars and spotting scopes, narrow your field of view but show faraway subjects in detail. 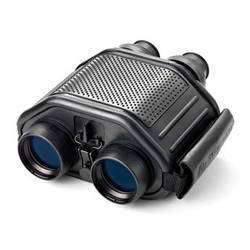 Zoom binoculars have a unique design that allows adjustable magnification. 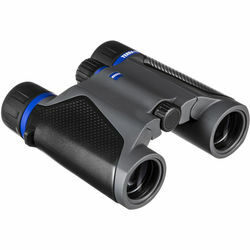 A 10-22x50 model has 55mm objective lenses with a minimum magnification of 10x and a maximum magnification of 22x. Spotting and riflescopes are popular magnifying instruments with this feature. Models with coated lenses produce brighter images. Lens coating prevents light scattering and reduces glare by cutting down on light reflection. Fog-proof lenses resist fogging in cold and humid conditions. For nighttime observations, choose a pair of infrared binoculars, as these provide night vision. Build quality is also important. If you plan to spend time outdoors, look for a unit with a water-resistant, waterproof, or weather-resistant shell. A shockproof housing also protects your precious instrument if you accidentally drop it. Models with compasses are especially useful on hunting and backpacking trips. To record what you’re observing, choose a pair of binoculars with a camera. Carry a pair of binoculars to observe the wonders of the natural world in close detail wherever you go. Browse the large inventory of optical instruments at B&H Photo and Video to find the magnification tool you need.